Home Entertainment Avengers Endgame opening night tickets on ebay, Who needs to retire anyway? Avengers Endgame opening night tickets on ebay, Who needs to retire anyway? Do you want to see Avengers: Endgame on opening night? Do you really, really want to see Avengers: Endgame on opening night? Like, enough to give up the same amount of money you might spend on Super Bowl tickets, or a glorious international vacation, or several months rent, or a used car, or a kid’s college fund, or your own damn retirement? If so, then make your way to eBay and throw your money at someone who lucked out and got their tickets right away on Tuesday. Who needs to retire anyway? As you likely heard, Avengers: Endgame tickets went on sale Tuesday and sold faster than it takes Iron Man to deliver a smart-aleck quip, which is to say, instantly. Not everyone could get the tickets they wanted though, in part thanks to AMC Theaters’ site and mobile app choosing the exact wrong day to succumb to Thanos’ snap. But plenty of people did get tickets, and an enterprising batch of them are selling their opening-night tickets on eBay, as often happens with hot tickets these days. Want to see it in New Jersey at the AMC Dine-In Essex Green 9? You and a pal can sit in the middle row on opening night and get a free poster to boot. It’ll just cost you $15,000 to Buy It Now, or try your luck with an opening bid of $2,500. But maybe you want to see it in New York City, at the AMC 84th Street 6. Bidding begins at $4,999, please. But hey, the seller will ship them to you for an additional $4.81. Other sellers are more reasonable, although that word is relative, looking for $350 for three tickets in Sherman Oaks, California, or $250 for two tickets in Las Vegas, or a bargain $85 for FIVE tickets in Novi, Michigan. But as eBay veterans know, you can ask for any price you want for anything — whether or not you get it is another story. So far, we’re not seeing any huge sales completed for these high-priced tickets — though a scan of completed auctions shows one or two sales, each for less than $100. 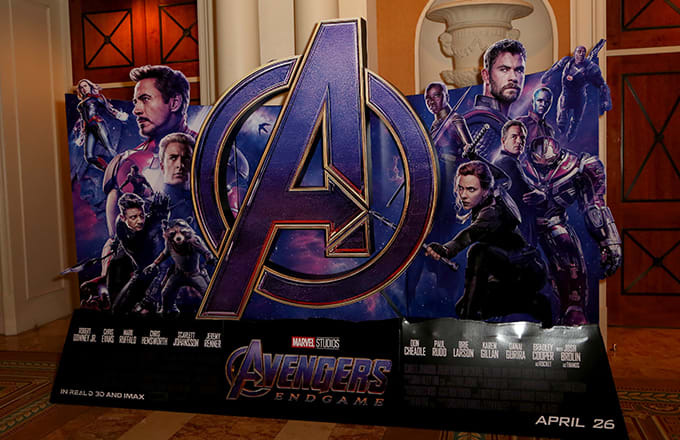 See even more ridiculously high prices for Endgame tickets on our sister site CBS News. With Shazam, a big kid in a cape gives us DC’s most fun adventure yet: DC hits back at Captain Marvel with a superpowered version of classic comedy Big that completes DC’s magical transformation. The Twilight Zone premiere makes my stand-up comedy nightmares too real: Jordan Peele’s reboot starts with a comedy of terrors starring Kumail Nanjiani, and for a working comic like me, it’s dead-on.